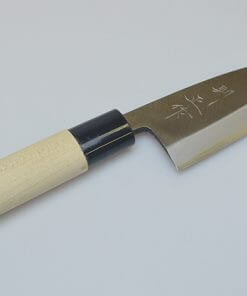 These cool designed chef’s knives are ones of the most practical models among Toshu products. 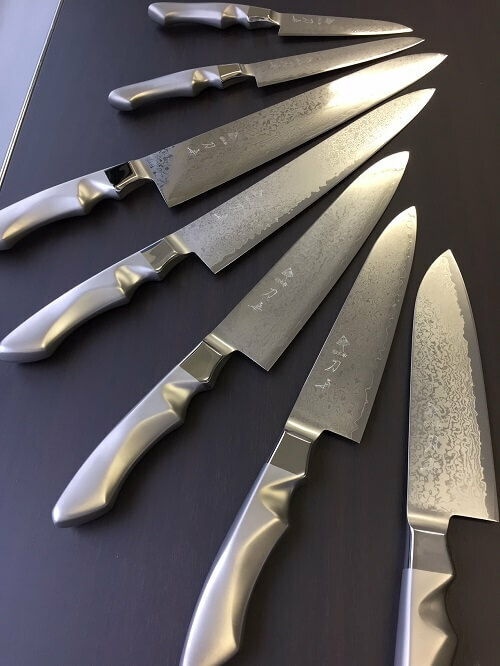 In addition to the blades made of a finest quality stainless steel material VG-10, handles are also made of 18-8 stainless steel. 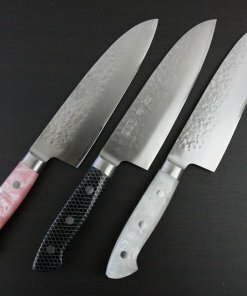 So, they never get rust and are dish-washer safe! 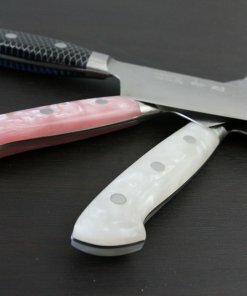 Handles are designed to fit your palm, which enables you to handle the knife just like a part of your body. 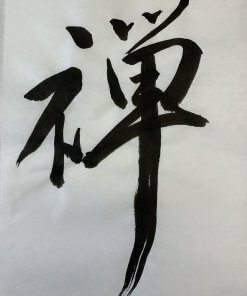 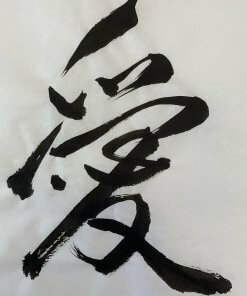 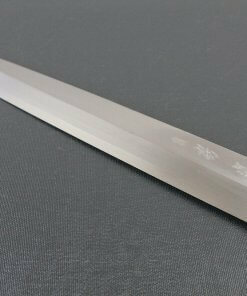 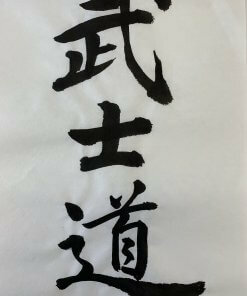 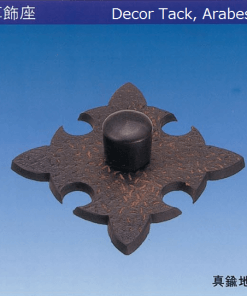 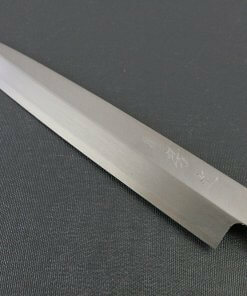 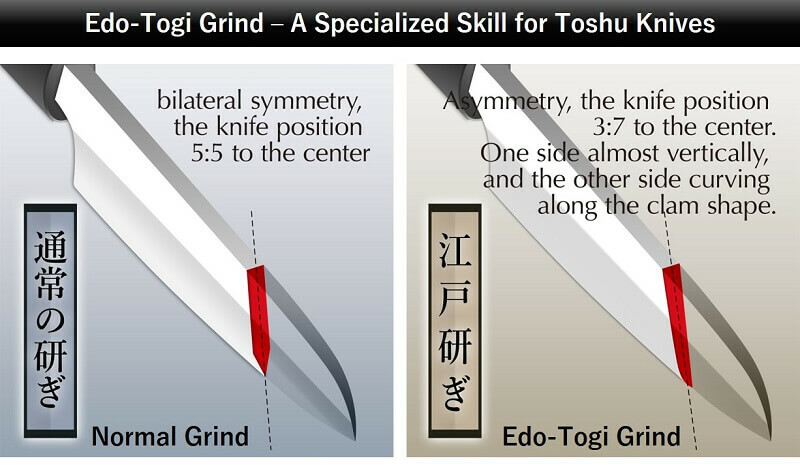 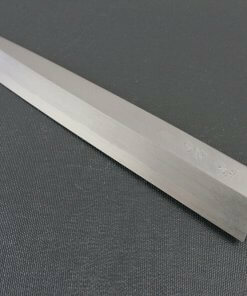 The blade is 65 layers damascus, and it is of course ground by Edo-Togi method. 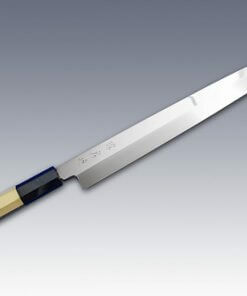 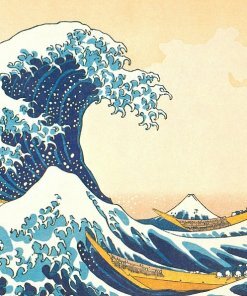 It really cut foods like butter with a little power. 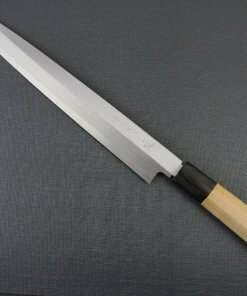 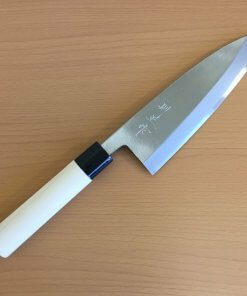 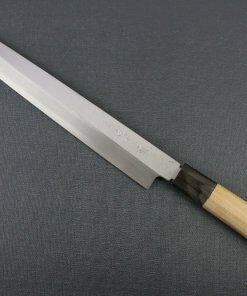 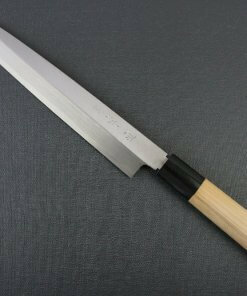 We have 180mm Santoku, several sizes of Gyuto and two sizes of Petit knives.